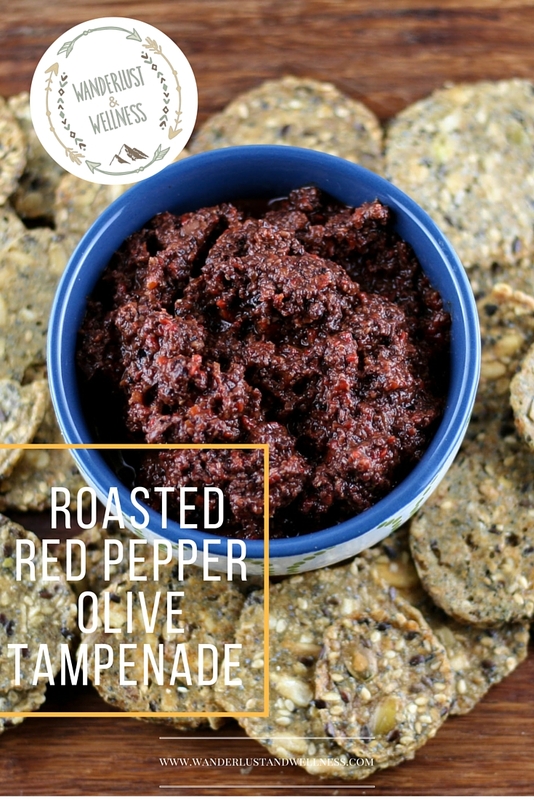 I discovered olive tapenade a few years ago at a local bistro and was pleasantly surprised at how good it was! I have never been an olive fan but the olive tapenade won me over. 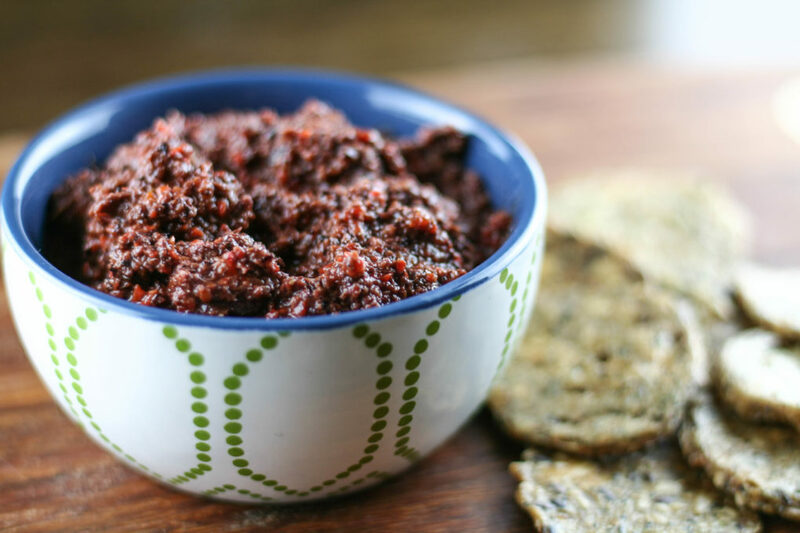 Olive tapenade is the perfect Paleo snack, especially when you pair it with Mary’s Gone Crackers Super Seed crackers. These crackers are so good while being wheat free, gluten free, dairy free, and nut free! It’s so hard to find a gluten free cracker that doesn’t have a nut-based ingredient. Finding Mary’s crackers was like finding Wonka’s Golden Ticket! Like I previously mentioned, I’ve never been a true olive fan. Except for when I discovered two things; olive tapenade, and blue cheese stuffed olives in a dirty martini. (I’ll skip the story about why it may be awhile before I try another dirty martini again.) 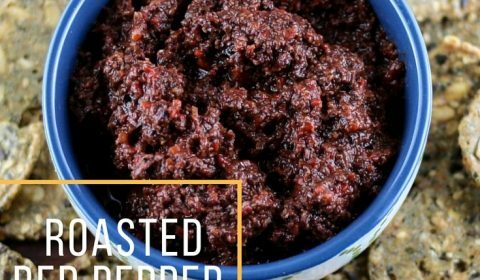 This roasted red pepper olive tapenade marries another one of my favorites, roasted red peppers! Now, my husband despises both of these ingredients so I let him skip the taste testing for this recipe. But take my word for it, it really is so good! This recipe uses Kalamata olives, because they are my very favorite olive. Then you marry the Kalamata olives with roasted red peppers and garlic and the result is amazing. This would be a great addition to your next antipasto platter. Your guests will think you’re all fancy and stuff! Add all ingredients to food processor and blend until well combined. 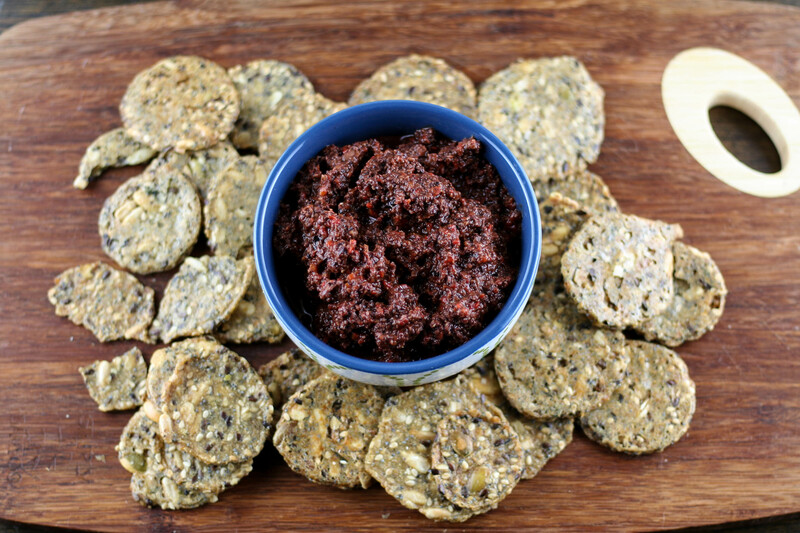 Serve with your favorite gluten free crackers, meats, etc.